Since my fiction writing occurs wherever I can set my laptop, I don’t really have a place. 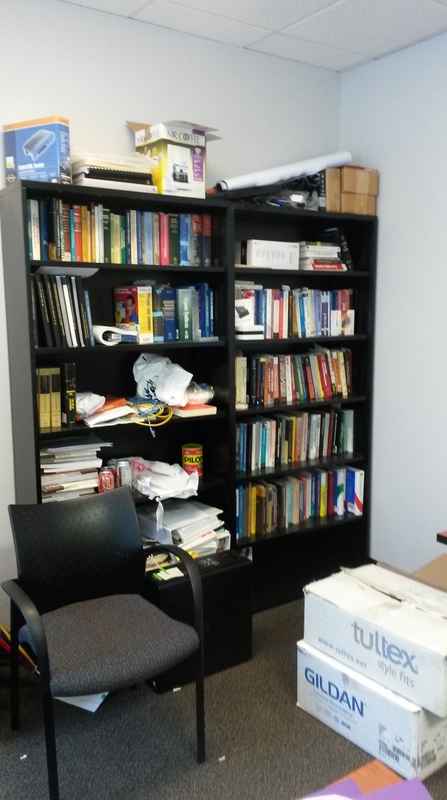 So I thought I’d show you what a professor’s office looks like. The featured photograph shows my five year report. Professional writings, both for courses and papers, in two binders. 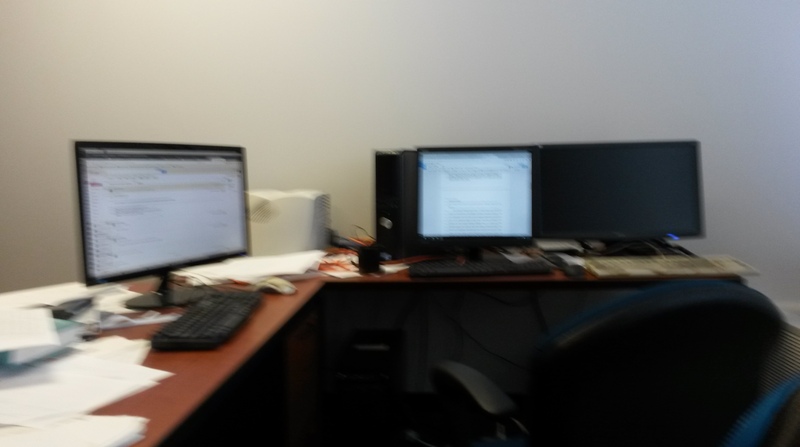 Three monitors for three computers. All running various calculations. Two are Linux boxes. The mandatory bookshelf, full. Chemistry, security, languages and machine learning. The boxes at the bottom are left over from our hackathon. There’s a can of coffee, the necessary black bean on one shelf. 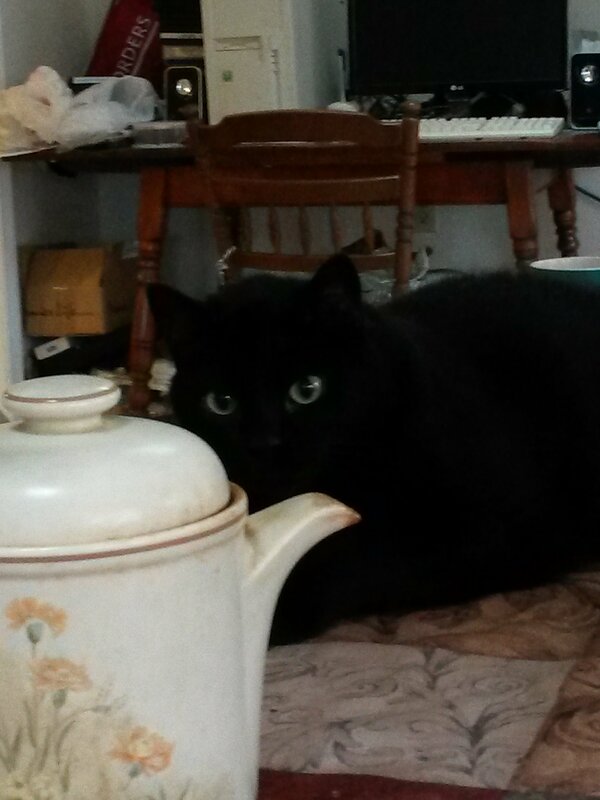 At home I write with tea and cats.